I already showed a pretty bedroom of Amber Lewis, CEO at Amber Interiors before. And I love their style! I think they have such impeccable taste how to design a room - I'd love to have them over someday for my own house (a girl can dream, right?). And speaking of houses, I just died and gone to design heaven after seeing these pictures on Amber Interior's website... I had to show you this perfect home, babes! I just love these wooden beams and high ceiling - they make this living room airy (and pretty, of course). This rock'n roll infused abode is the perfect home for entertaining, relaxing and living. I can picture myself living there, haha! 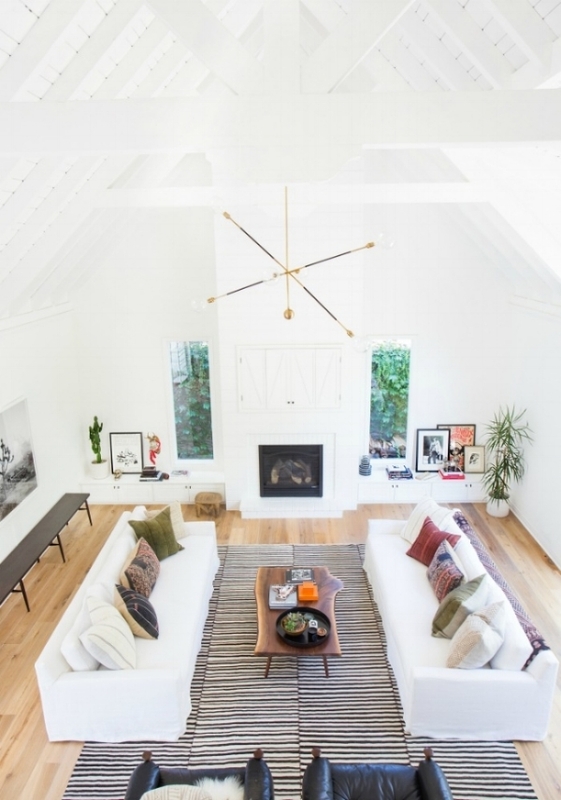 Don't you just love the high ceilings with wooden beams? And I love the "rock 'n roll" details everywhere, if we find a new home somewhere in the near future (we're looking around again), I'd definitely style it with cool decor like that Jimi Hendrix framed poster and a few cool big cacti here and there. Oh and I love the cushions on the sofa - the perfect mix of boho meets modern rustic! I know I haven't seen the entire house myself, the pictures speak for themselves - the whole home breathes comfort, lightness and class. I don't have girls, but if I had, I'd style their bedroom like this - so pretty, simple and gorgeous! And yet it doesn't feel too girly. Is this a style that speaks to you? What do you love in a home? 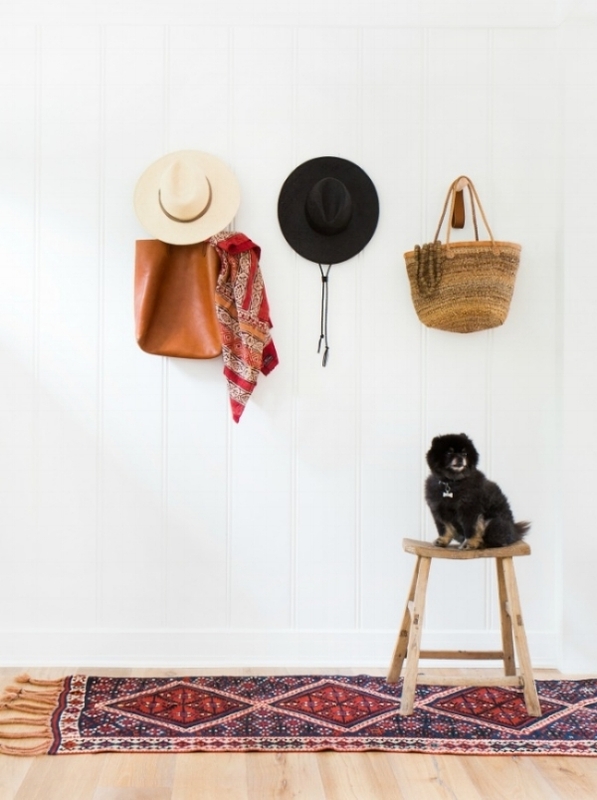 And what are your favorite things in this home? Do tell me, I'm all ears!